EXTENDED! HOME ESTATE AGENTS re delighted to bring to the market this well presented extended three bedroom semi-detached property located on the very popular Russell Road in Partington. 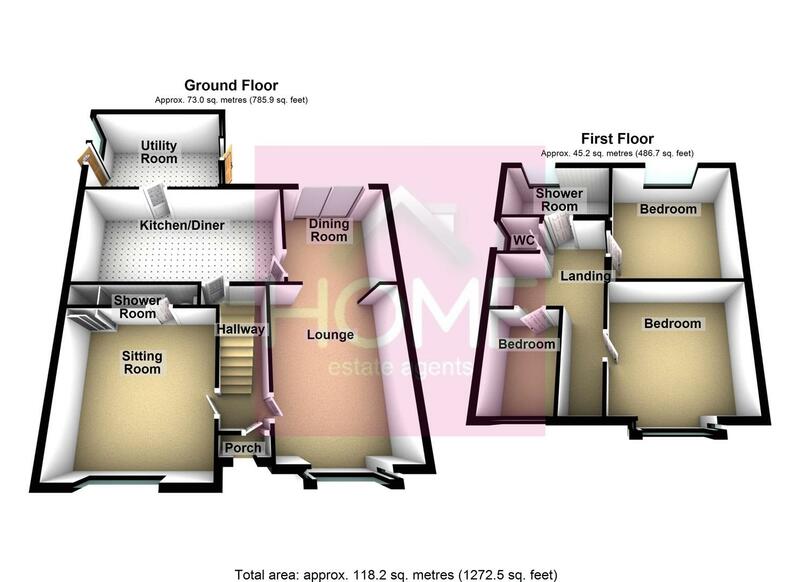 This lovingly cared for property is well presented and boasts spacious living accommodation to both floors. A generous sized property with three reception room s and downstairs shower room would make an ideal family Home. The accommodation comprises of porch, entrance hallway, lounge, dining room, sitting room, downstairs shower room, eat in kitchen and utility room. To the upstairs are three generous sized bedrooms, a converted attic room which can be used for a variety of uses, a fitted shower room and separate WC. The property is double glazed and warmed by gas central heating. To the outside front is a walled block paved garden and driveway offering off road parking for several vehicles. Whilst to the rear is paved garden with decked patio area and several outbuildings. To book your viewing call HOME on 01617471177. UPVC double glazed window to front. Single panel radiator. WC. Wash hand basin. Shower cubicle. Wall tiling to compliment. UPVC double glazed bay window to front. Television point. Gas fire. Single panel radiator. UPVC double glazed sliding doors to rear. Double panel radiator. Two uPVC double glazed windows to rear. A range of fitted wall and base units. Rolled edge work tops. Electric oven. Overhead extractor fan. Splash wall tiling. UPVC double glazed bay window to front. A range of built in wardrobes. Single panel radiator. UPVC double glazed window to rear. A range of built in wardrobes. Single panel radiator. Velux roof window. Additional eaves storage. UPVC double glazed opaque window to rear. Shower cubicle. Vanity wash hand basin. Wall tiling to compliment. Tiled floor. Ladder style radiator. To the outside front is a walled block paved garden and driveway offering off road parking for several vehicles. Whilst to the rear is paved garden with decked patio area and several outbuildings. To book your viewing call HOME on 01617471177.